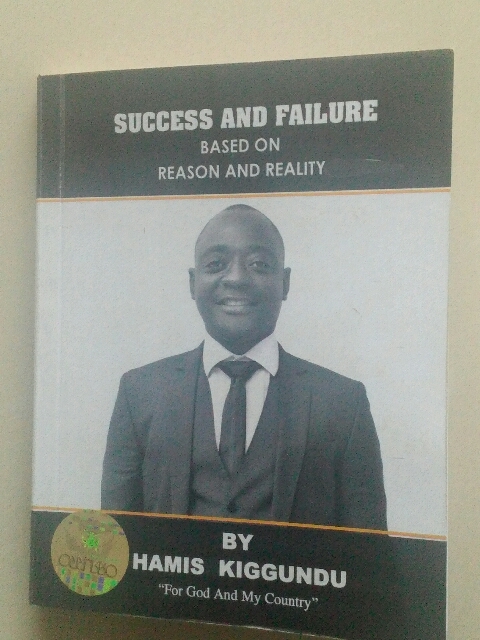 Hamis Kiggundu is a well-known businessman who not only trades in Uganda as Ham Enterprises Ltd, but also as Ham International UK Ltd in the UK, Ham International Ltd in the US and Skylight Investments in South Africa. He is a 34-year-old billionaire who directly employs more than 1,200 people. He had his primary, secondary, and university education in Uganda and holds a Bachelor’s degree in Law at Makerere University. He is commonly known as Ham. In this book, Ham says he’s purely a businessman and doesn’t often write books. But he did write this one due to the prevailing circumstances of many friends approaching him on how he managed to make it today. The book doesn’t go so much into his businesses and lifestyle, but mainly for education and business purposes. He hopes it positively changes people’s way of thinking and have a great contribution to the development of Uganda. With the help of his local and international business experience, he basically highlights and explains the areas that may help the reader widen his knowledge on how to manage a business. He wrote the book in only six days without doing any research at all because it was his intention to pass on his unbiased personal opinion to the readers from a realistic and reasonable perspective. So the book is purely based on his personal realistic opinions. We learn that Ham started with some reasonable capital from his parents to start trading in commodities and merchandise from first hand importers abroad and sold them at a profit, grew his own capital, upgraded to real estate and now owns various commercial properties. He says success is generally a gradual process just like life when growing up. When a child is born, they start by crawling, to walking and then run. If you try to run before walking you will fail. It takes gradual steps to achieve success and where you want to be. Through the book, he highlights that Uganda has good fertile soil, favourable climate and a large young energetic population which mainly depend on imports with limited exports. He encourages most Ugandans to move to agriculture and put collective effort towards the national budget. He intends to help those involved by creating the demand for their produce by adding value and marketing the end product domestically, regionally and internationally. He also talks about widening the tax base to 21 million, almost half of Uganda’s population to help the country develop economically. In his book, he also explains about belief, risk, challenges, consistency and patience among the factors for anyone to have a successful business. Believing in yourself to achieve success is one of the first steps to being successful. Ham’s positive thinking is one of the things that stands out throughout the book. He shares his knowledge to create positive results in our lives. This business book will give you the foundation for creating success-driving habits. The book also teaches you how to shift your focus to managing how you think rather than spending time managing what you think. He emphasizes how starting a business with limited capital forces you to think creatively and use your limited resources efficiently. It forces you to be more innovative and become successful. Overall, the book is a must-read if you’re looking forward to building a business and guide your own path to professional and financial success. It’s not about getting rich but living life on your own terms. It naturally captures the best business advice, productivity tips and life lessons (Parents, Children and Success chapter). In conclusion, it is generally a great book for anyone looking to start and grow a business, develop their careers, build and improve their entrepreneurial skills and become more effective with life and work.